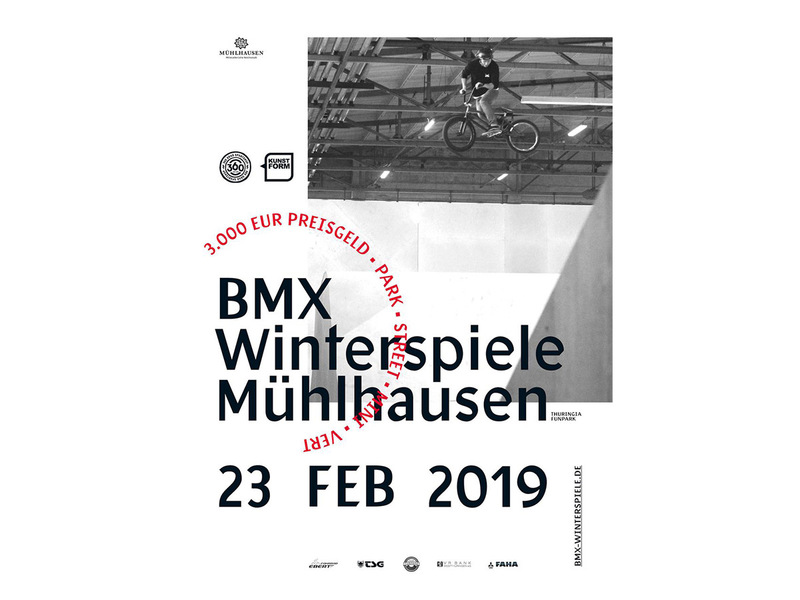 at the 23th of February the BMX Winter Games will take place at the new renovated Skatehall in Mühlhausen. You can choose between 4 disciplines (Park, Minirampe, Street and Vert). By the way there are overall 3000€ prize money. The starting fee per discipline is 5 euros, for all four disciplines 15 euros. If you don't want to take part in the contest, but still want to shred the new park, you've to roll the dice for your entry (1-6 EUR). Spectators have free admission.